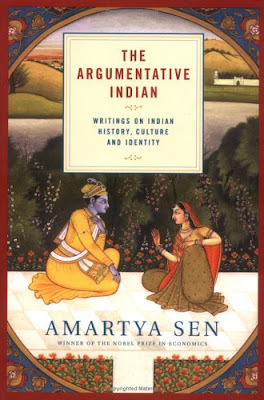 Attracted by the author’s name and the title of the book, I bought Dr. Amartya Sen’s “The Argumentative Indian” a couple of years back. I never had any opportunity to know about him other than repeatedly reading the title (only the titles) of articles about him in all mass newspapers and magazines when he was honored with Noble prize. Finally, I woke up his book from the shelf only now to start reading it. I had just finished reading Imagining India before starting with this book. Now I feel that it would have been better if I had read this book before Nandan’s imagining. Sen has spent more time than Nandan on history. Thanks to his Bengali background - he deals with the controversial issues more firmly and openly.